I’ve always regretted not making a cast of my pregnant belly. In those days — nine years ago — I was mainly focused on two things: not getting nauseous from everything I smelled in my early pregnancy and not eating the house down when I was nearing delivery. Food, for me, was the one constant that moved with me throughout both pregnancies. Now, nearly a decade later, I wish I had put down the fork and picked up a belly casting kit. For you pregnant moms who are — ahem — undoubtedly wiser than I, there’s a new luxury belly casting kit you should check out. Belly Vita has created the Belly Imprint™ Spa Treatment & Sculpting Kit, a maternal luxury that is part aro matherapy spa treatment and part belly casting kit. 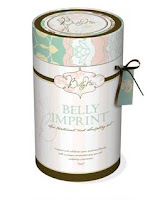 Belly Vita wanted to make their belly casting kit a true experience for expectant moms so they included Balancing Belly Oil that you rub on your belly before applying any sculpting powder. The oil helps prevent stretch marks and also relaxes your mind. After relaxing you then apply the sculpting powder and fabric to your belly, sculpt it, and in a matter of 30-50 minutes your cast is done. Once the cast has completely dried you then “finish” it and can proudly display your pregnant belly as a lasting memento in your baby’s nursery. 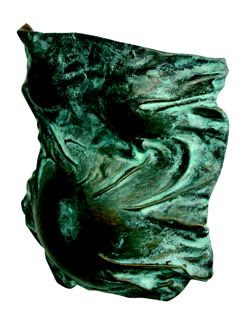 Belly casting is a perfect way to end off a beautiful pregnancy at a baby shower or at an intimate gathering with family. The Belly Imprint™ Spa Treatment & Sculpting Kit retails for $65. Find it online at www.bellyvita.com.